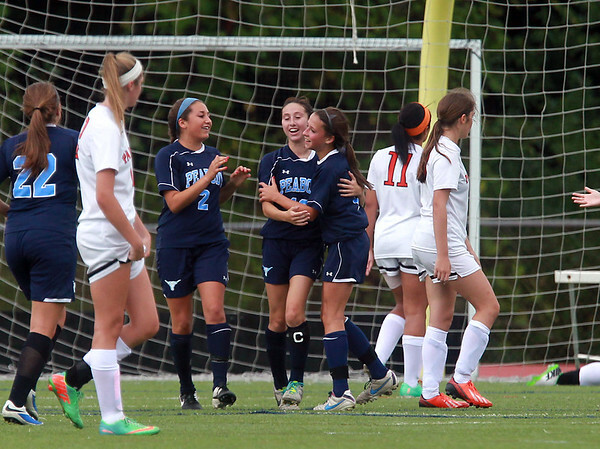 Peabody striker Emily Nelson, right, gets congratulated by teammates Caroline Colbert, center, and Adriana Raneri (2), left, after her first half goal to put the Tanners up 1-0 on Beverly. DAVID LE/Staff photo. 9/11/14.